4 great iPhone apps for interior design (and they’re free!) | Vim & Vintage - design. life. style. Whether you are a do-it-yourselfer or a design professional, these iPhone apps help solve common interior design problems in minutes. Problem: You want to find a wall color to match the colors in your bedding, but lugging the whole thing with you to the paint store is nearly impossible. 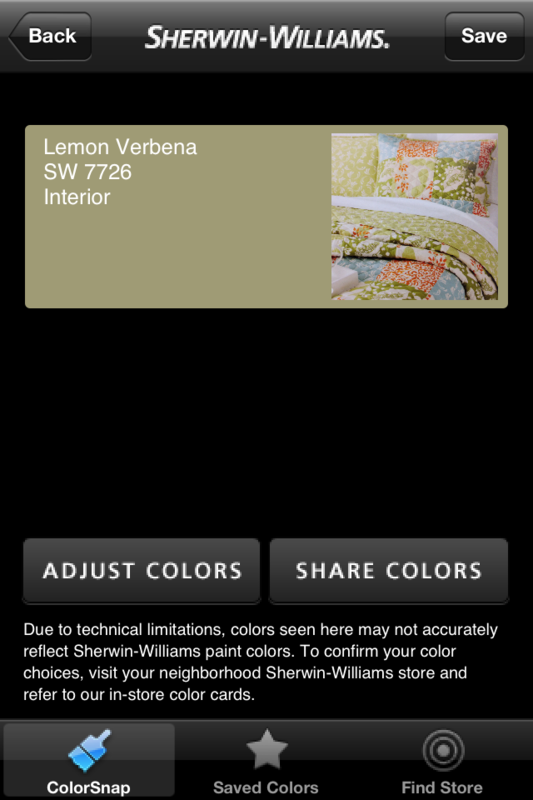 Solution: Use a paint color matching app, such as Sherwin Williams’ Color Snap or Benjamin Moore’s Color Capture to help you pick a color. 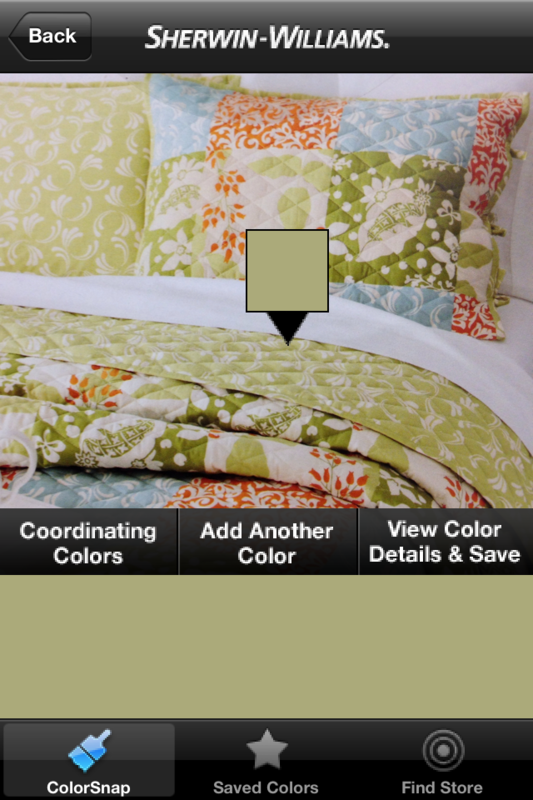 You can snap a picture of the bedding, then use the app to pick out an individual color or find a color scheme that works. Then save that color to your phone, and head to the paint store to pick it up. Easy as pie! 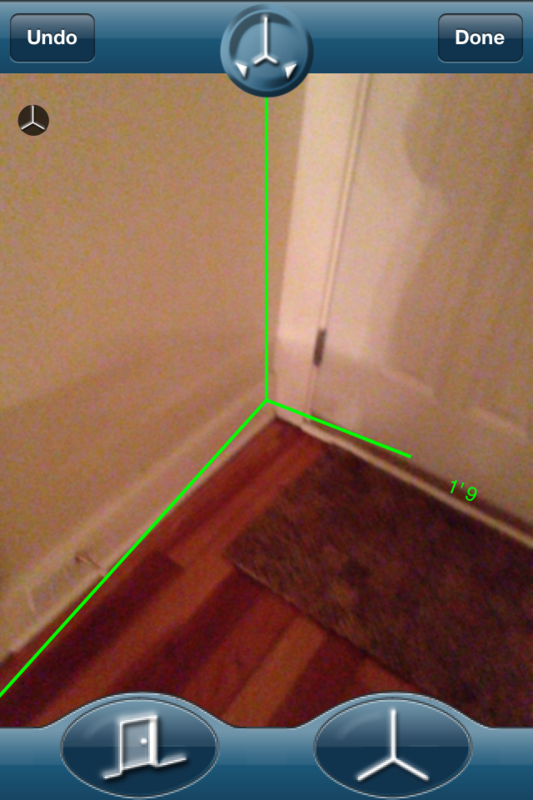 Problem: You need to know a room’s dimensions quick, but you don’t have a tape measure with you. Solution: Have MagicPlan calculate the dimensions for you! You choose the wall corners, openings, and doorways, and it generates the floor plan. If you’re wondering just how accurate it is, I tried it on my living room as an experiment. Then I measured the actual dimensions and it was only 2-3″ inches off! Amazing! Problem: You want to make sure that picture is hanging straight on the wall, but you don’t have a level. 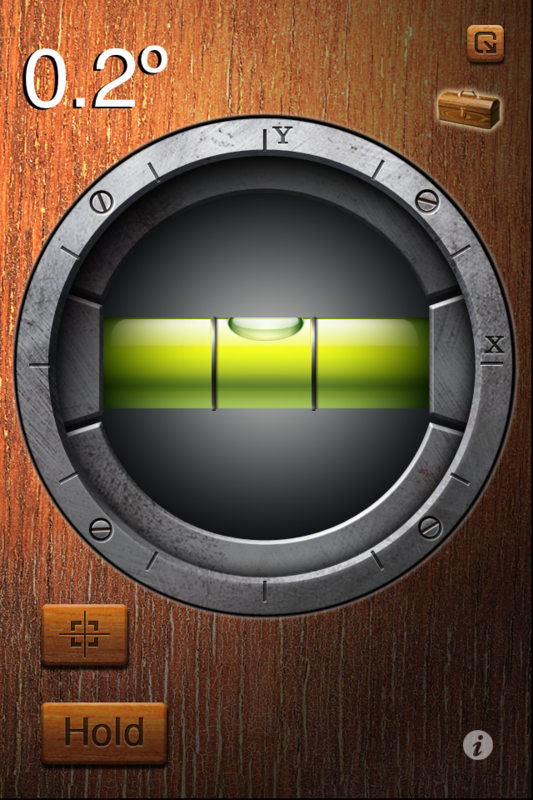 Solution: Download iHandy Level & you’re good to go! Problem: You need a quick conversion from inches to feet. 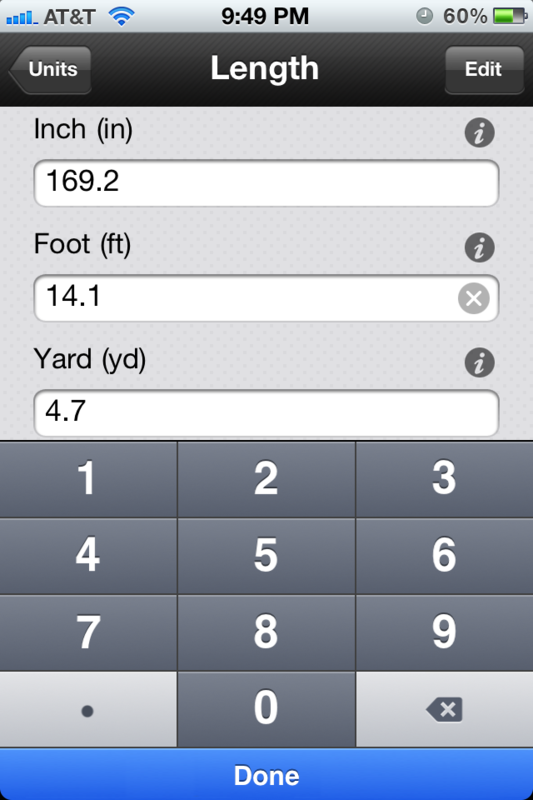 Solution: Use Units app for easy conversions of many different units of measurement. ← find your perfect palette!